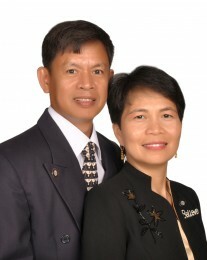 Natives of the Philippines, Precilla and her husband, Rey, came to North America by way of Vancouver, British Columbia, Canada. They moved to Brownsville, Texas, in 1998, to work as civil engineers in the oil industry. In Brownsville, Precilla worked as an engineer, then as a real estate broker and investor. She and her family (three daughters) now live in Harlingen, Texas, just a few miles up the Rio Grande River from Brownsville. She discovered the Ambit Opportunity through her relatives and joined the business in October of 2007. About building her business, Precilla says, “I’m a go-getter. I believe it’s going to work. I tell people that if they want to get ahead in life, here’s an opportunity.” Precilla’s attitude and passion is sometimes all it takes to attract new people into her business. She says a couple of people recently joined her team solely by virtue of their faith in her. Precilla recalls they came to her and said, “You’re doing this and if you’re doing it and doing well, it must be a good thing.” Boom: two new MCs.